This entry was posted in Uncategorized and tagged Ayurveda, CEUs, workshop. Bookmark the permalink. 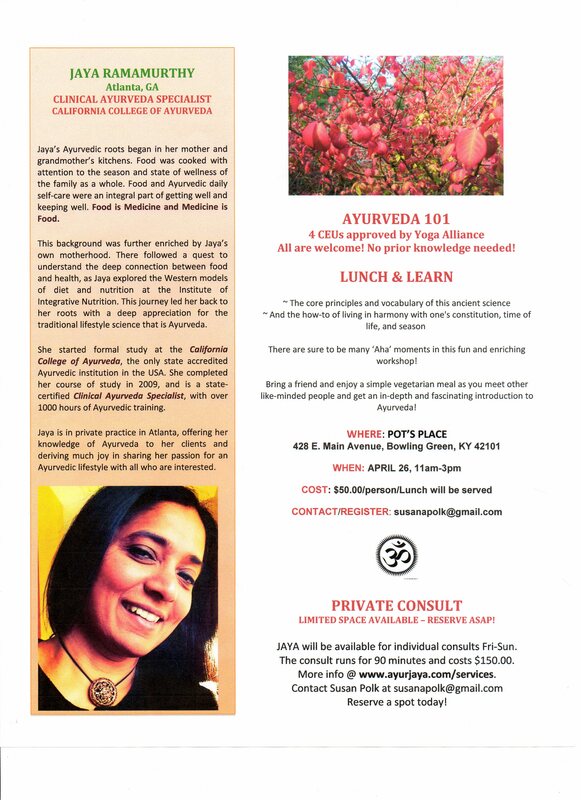 1 Response to Ayurveda 101: a lunch & learn workshop on Sat., 4/26, 11 a.m.–3 p.m.